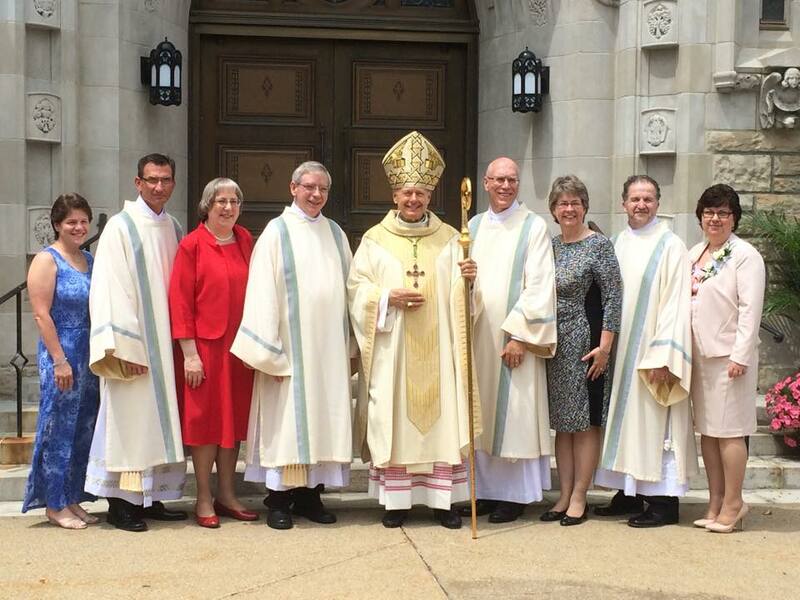 On his Ordination as Permanent Deacon Saturday, June 13, 2015 at the Blessed Sacrament Cathedral in Greensburg by the Most Reverend Lawrence E. Brandt, Ordaining Bishop. Deacon Jeff was ordained along with 3 other gentlemen, Stephen Black, William Newhouse, and Michael Orange. Following the ordination Mass, Jeff served at our 3 weekend Masses. The 4:00 Mass was celebrated by his brother, Father Vincent Cieslewicz, Father Len, and Monsignor Paul. 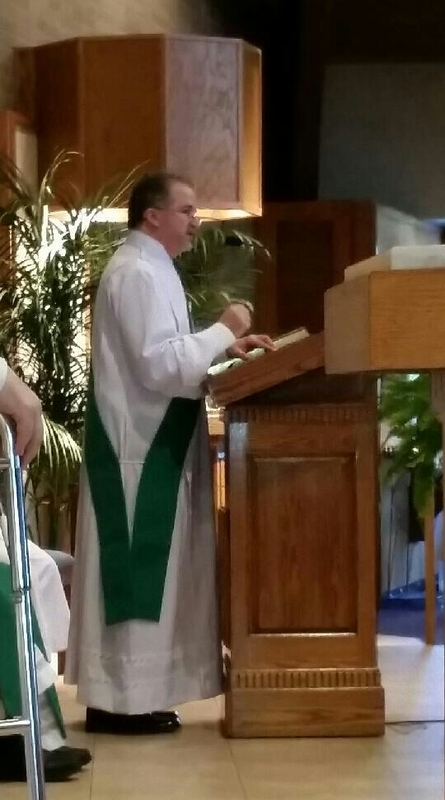 Deacon Jeff read the Gospel and preached the sermon at each Mass. It was announced by the Diocese that effective July 1, Deacon Jeff has been assigned to serve as Permanent Deacon at St. John Baptist de La Salle Parish, in Delmont and St. Mary Parish in Export, under the supervision of Rev. Joseph Bonafed. Please pray for Deacon Jeff and all of our clergy and deacons.